Founded in 1947, Olicana is a volume tube bending manufacturer. We offer a high quality tube bending design, development and manufacturing service for mid to high volume mild steel tubing to a variety of industries, worldwide, all of which we maintain an excellent relationship with. And with our own powder coating facility onsite this means we can finish the job before you take receipt of it. Our engineers are vastly experienced in taking your unique concepts and optimising the product for manufacture - ensuring that not only your design ambitions are met but the cost objectives are met too. Determine bend radius & minimum distance between bends. Full design and prototyping service. Tube manipulation 9.5mm diameter to 50.8mm diameter. Advanced Robotics & CNC equipment. Swaging, Piercing, Notching, Punching and Laser Cutting. 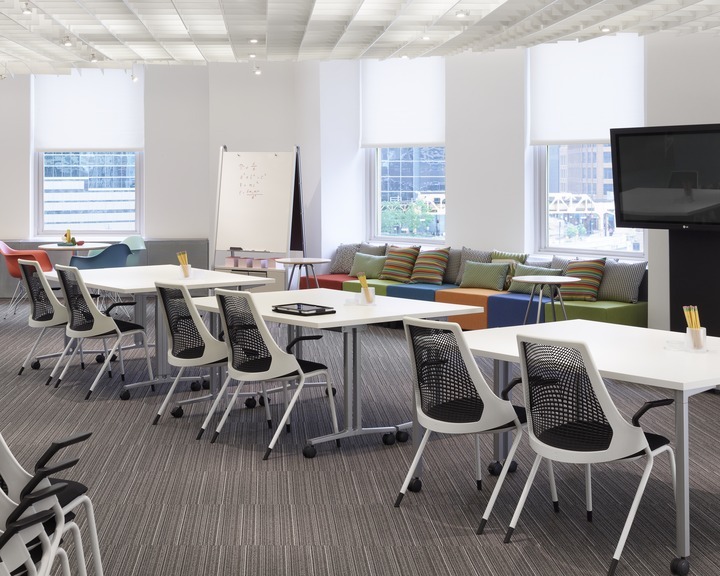 Olicana has been a strategic supplier for Herman Miller since 2010. 'Some categories of supply require supplier support in our design process and these are categorised as 'strategic suppliers' where performance is measured every 3 months'. Olicana Products are very proud to sponsor our local Junior Football Team.